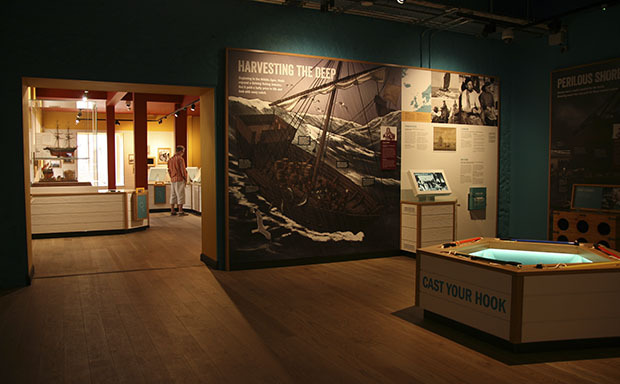 Ugly Studios Ltd | Wells’ new Heritage Centre launches! 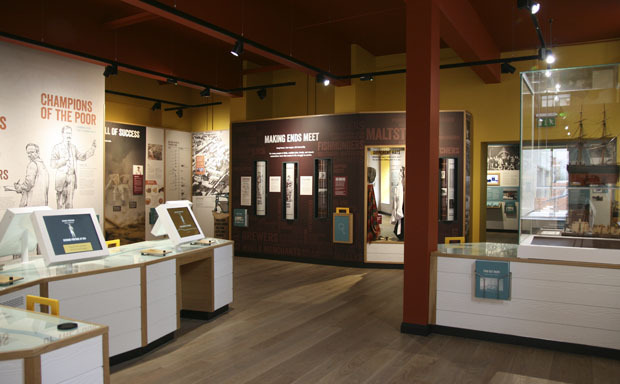 Wells Maltings’ new Heritage Centre opens on Friday, July the 27th. 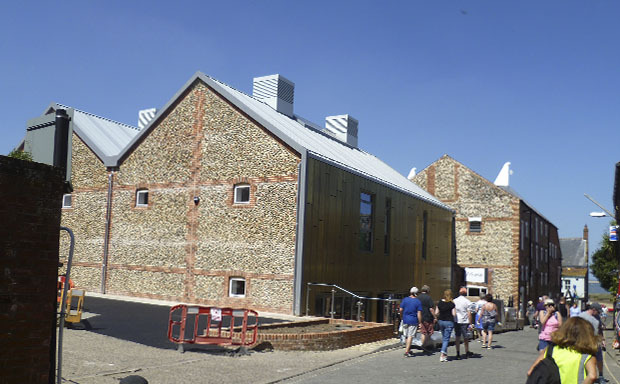 The revamped, Heritage Lottery Funded Maltings is a cultural hub on the North Norfolk Coast featuring art galleries, a theatre, exhibition spaces, café and the new Heritage Centre – designed by Ugly Studios! 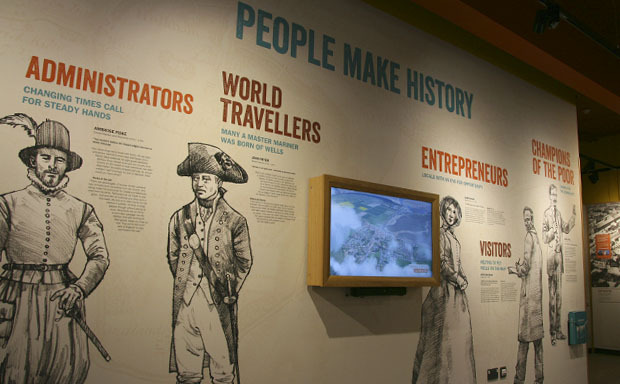 In the Heritage Centre we set out to tell the tale of the town and its people in fun and engaging ways. 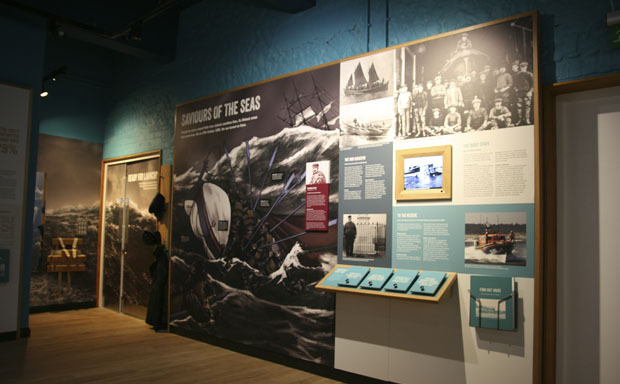 Films, interactive games, dressing-up, and larger than life characters will immerse visitors young and old in an evocative and atmospheric portrayal of the history of the town. The story is told through the lives of the people themselves; those who lived, loved and worked in Wells. You’ll hear from all kinds of Wells folk, from the wealthy merchants mapping out the town’s future, to the stone pickers working the fields. Their dreams, hopes, hardships and toil are brought to life through a wide variety of media, ensuring there is something for everyone. For Ugly Studios it was an inspiring project to work on. Along the way we’ve been intrigued and amazed by the tales that we have been told about Wells. We have truly enjoyed helping Wells Maltings Trust achieve their vision. A big thank you to Paragon Creative for their outstanding craftsmanship. Thank you too to The Wells Local History Group for their invaluable local knowledge. And a big ‘Congratulations’ to everyone involved in all stages of the project, from the original vision to the final finish! Do you have a story to tell? Call us on 01603 760529, or email us at info@uglystudios.com. We’re also on Twitter and Facebook!